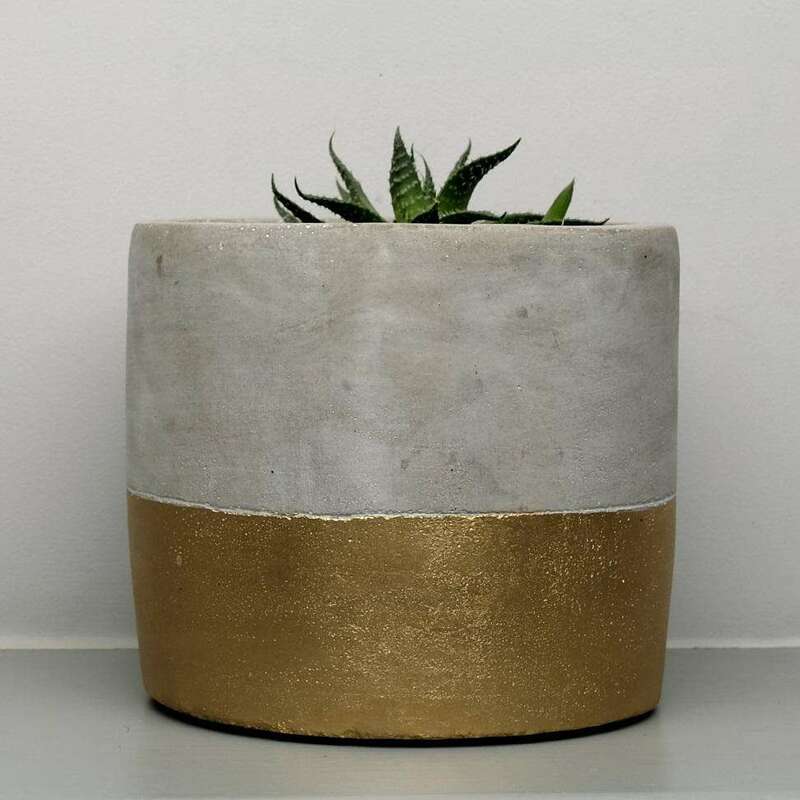 This set of three gorgeous geometric concrete plant pots has a vibe somewhere between industrial and contemporary, with it's rough concrete finish and sleek geometric lines. Each pot measures 8 x 7 cms and they sit on a 24 cm tray. We think this looks gorgeous on a kitchen window sill housing your most used herbs, but it's equally lovely with a trio of cacti and succulents. And it just so happens that our small cactus and small succulents fit in the geometric concrete plant pot set perfectly.